While your business idea can be top notch, your infrastructure can be state of the art, all is likely to come crumbling down if you fail to recruit creme talents to run the daily affair in your organization. As known by most employers, employees play an essential role in the progress of the organization. Without the aid of an efficient team, a startup can never move across the long and stiff challenges it is likely to face. In other words, the growth of a startup is inversely proportional to the kind of employees that are recruited. With the importance of the employees well established, it is important for a startup to decide on the source of recruitment. 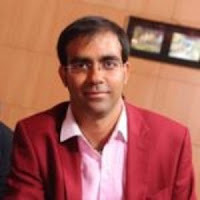 How can a startup select some ace candidates from a pool of the very talented ones? 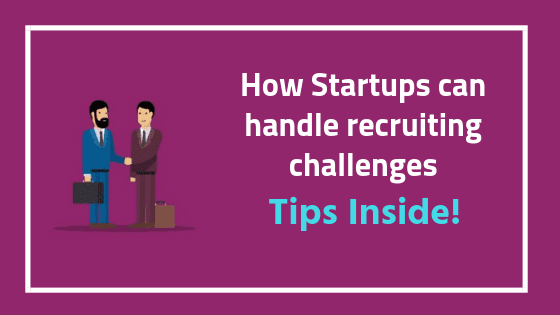 The recruitment process is not only crucial but is also tricky especially for a startup. Many a time, entrepreneurs and recruiters find themselves at their wit’s end during the recruitment process .In such circumstance,the following tips can come in handy. Before jumping into the hiring process, it is important to be aware of the current and future trends of the organization. Such insights enable employers to make the right decision while hiring the candidates. For instance, as an employer for a startup, you might be looking to hire a bookkeeper, but you are aware that you will require an accountant in the near future, in that light it is advisable to hire someone who can do bookkeeping and can also be trained to become an accountant. Before moving on to hiring a potential candidate, the cost must be considered. A lot of factor and consideration goes into determining the hiring cost of each candidate. Such factors include the size of the organization, the designation of the employee and many others. Based on such thoughts after factors, an employer will be able to decide on the right source of job advertisement to select the right employee. Hiring within a tight budget means that one has to look for free sources of advertisement such as various social media platforms and online job hunting sites. However, with a slightly higher budget, one can go for advertisement in print or other electronic media. In addition to an advertisement, the recruitment process involves a few other operational costs too. This involves mailing the candidates, calling them for an interview, screening piles of CVs. After everything is taken care of, the candidate is called in for a technical round of interview. In order to keep the process smooth, a consultancy firm can be appointed. A tight budget means that you have to be careful about every penny you spend. A little cost- cutting while advertisement is always credible under such circumstance. This can be done if you make your own advertisement banner. Free tools such as Canva provide one with a lot of templates to choose from and you can make absolutely amazing flyers and banners with it. Always remember that success of a recruitment process is not determined by the number of resumes it attracts but rests in the balance between the quality and quantity of the resume received. In order to maintain such a balance, different sources must be discovered. Some tools and sites to that end can be Linkedin, Entelo, Monster, Dice and so on. All these tools and sites have their own set of challenges. While most of them are paid sites designed for headhunting, Linkedin allows one to search candidates for free. However, in order to connect with the right candidates and send them messages, one has to upgrade to a premium pack. Though a recruitment process has its challenges, a route map or plan of action can make things easy for one. For example, keep it smooth by determining the interview panel. Your team must be made aware of the job scope and the entire recruitment process, it is important to develop an assessment form to judge the merits of the candidate. Finally, keep it informal so as to make the candidates feel comfortable. Once you get the right candidate for your work, the sky's the limit! Make it worthwhile for yourself as well as your new employee. I hope you enjoyed this blog post about how startups can handle recruiting challenges and unexpected hiring obstacles. Interested in more articles about human resources and recruiting?